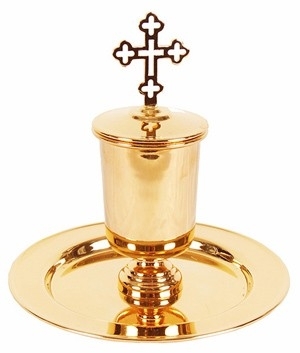 Traditional Orthodox Church vessel for oil. Brass, gold-gilding. Size: 6.1''x6.1''x6.3'' (15.5x15.5x16 cm).